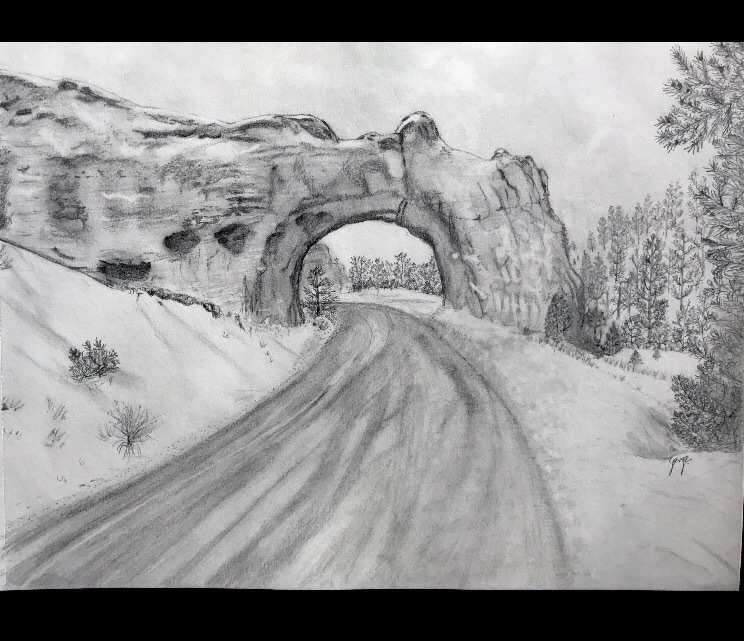 9×12 graphite drawing of the rock arch on the way to Bryce Canyon, Utah. You did a great job on rendering the stone of that arch. Keep it up!